For aficionados of guitars built by C.F. Martin Co., there are a few rare models that stand out. D-45s built before WWII (of which only 90-something exist) come to mind. 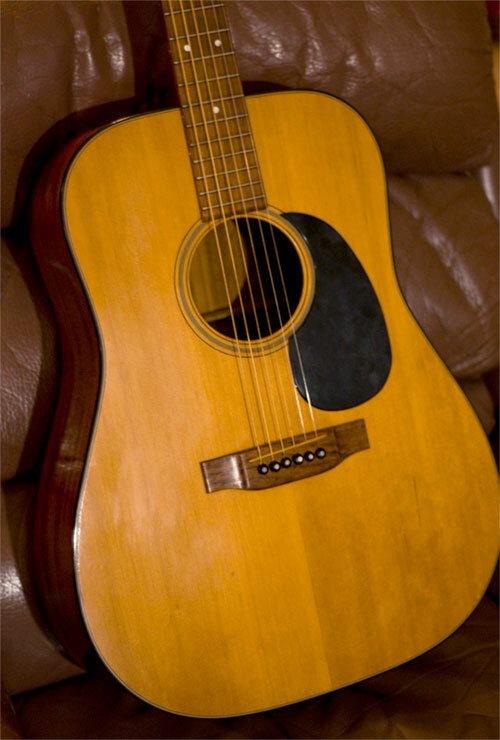 But few would guess that one of rarest production models to wear a licensed Martin badge was made long after the company’s pre-war glory days, and it wasn't made by American hands. 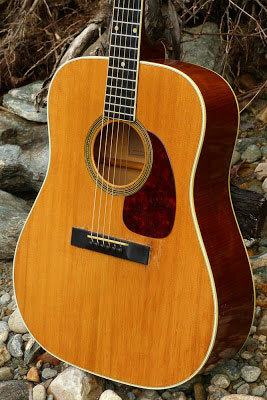 In 1978, during a decade known for declining quality in Martin craftsmanship, around 200 guitars were built in Gothenburg, Sweden by Levin Guitars under the model name LD-18. Interestingly, they bore the C.F. 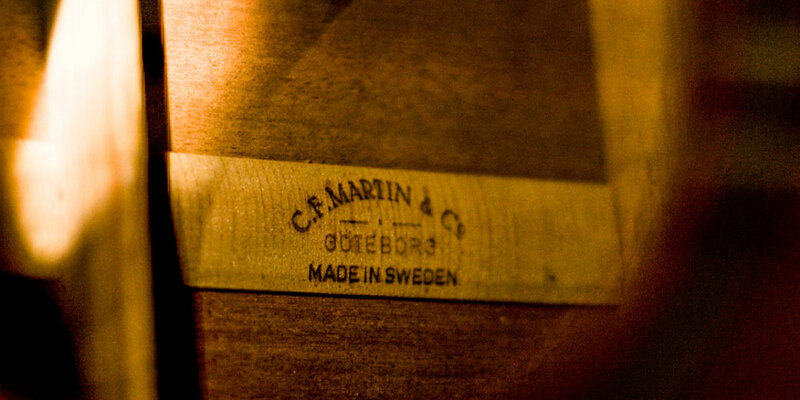 Martin label on their headstocks, had correct serial numbers, and were D-18s by all major specifications. They looked like Martins, played like proper Martins (if not better than their American contemporaries at the time), and by all means were Martins. So how did this Swedish-made batch arise? To find the answer, it helps to understand a bit more about the history of C.F. Martin Co. Many of the things players take for granted today in a modern acoustic guitar – dreadnought body shape, 14 frets clear of the body, even having steel strings – were all things pioneered by Martin before well before some of our grandfathers were born. The X-shaped bracing inside the body was stiffer, allowing the wood to handle the 180 lbs. of tension that steel strings in standard tuning put on the body. 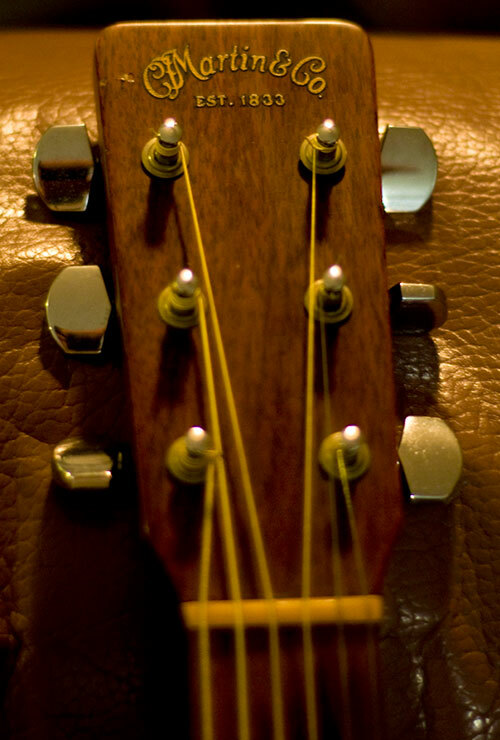 Until then, most acoustic guitars used cat gut for strings. The dreadnought shape, named after the Royal Navy’s HMS Dreadnought (so-big-it-had-nought-to-dread) battleship, was based on players’ suggestions for a larger body in 1931. For the first half of the twentieth century, Martin guitars were heralded for their hand-crafted precision and sonic power. 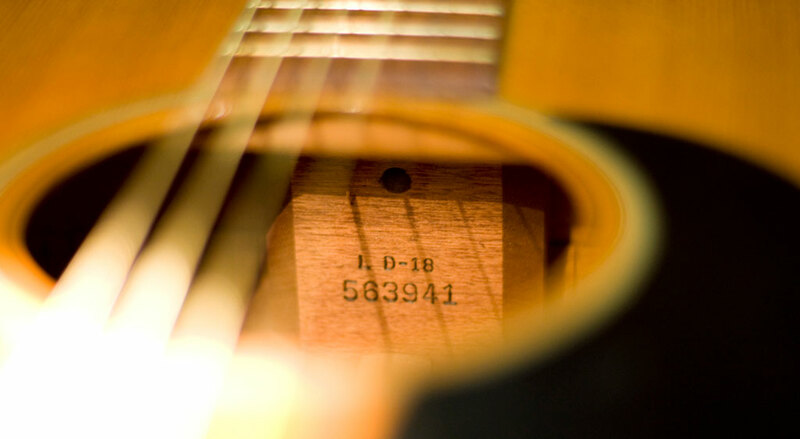 However, as demand for the company’s guitars grew with its reputation, many orders became backlogged and dealers became frustrated. In 1964, Martin expanded its production and opened a new plant, one that remains active today. For most people, this represents a dividing line between the truly great pre-war Martins and the merely good instruments produced from the mid-1960s onward. Different tonewoods were used moving forward (Sitka spruce and East Indian rosewood in place of Adirondack red spruce and Brazilian rosewood), internal bracing lost a degree of quality, and some theorize that bridge placement became less and less precise as the original jigs used for measurement eroded over the decades. In 1970, Frank Herbert Martin became president of the company. He quickly began buying other companies to expand market opportunities. In that first year alone, C.F. Martin Co. acquired Vega Banjo Works of Boston, Fibes Drum Company and Darco String Company (owned by the D’Addario family). In 1973, Martin bought the majority of A.B. Herman Carlson Levin Co. of Sweden. Levin was already well-established in Scandinavia as a premier manufacturer of high-quality instruments. Its Gothenburg shop had been in business since 1895. An American named Jerome Hershman saw the potential of bringing these well-built Swedish instruments across the Atlantic when he set up a deal with Levin in 1952 and began distributing them in America under the Goya name. A 1963 Goya S-18. Note the straight bridge, 24 3/4″ scale and slightly more rounded shoulders. Not exactly a D-18 copy. 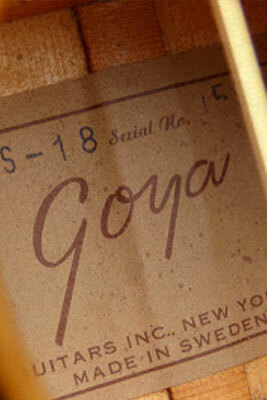 Levin-owned Goya, well before the move to Korean and Japanese models in the 1970s. 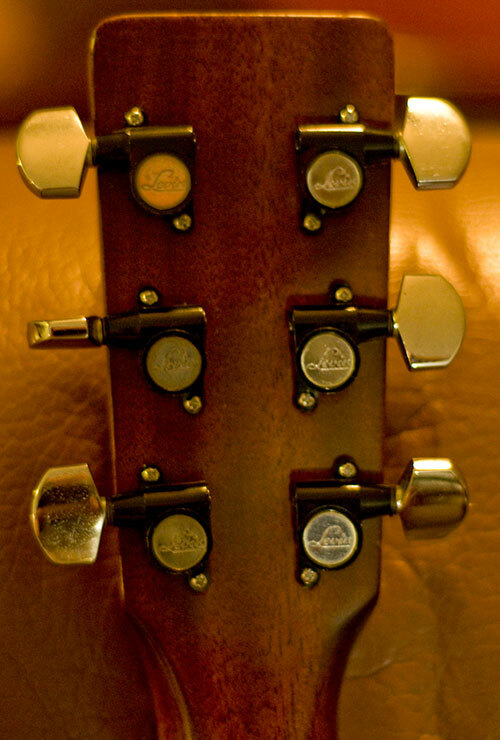 Here you can see the Levin badge on the headstock, an indicator that this instrument was built before Martin bought the rights to Goya. Before Martin ever bought out the rest of Levin and acquired the rights to Goya, the Swedish manufacturer had been shipping its S-18 “Goliath” model to America in small numbers. With some features more akin to a Gibson of that era, these early steel string dreadnought Goyas are rare compared to the droves of nylon string models imported. By 1976, Martin had taken over Goya and positioned their European headquarters in Sweden. While production of Goya guitars soon moved to Asia – a move associated with a drop in quality – the Gothenburg plant still produced instruments through 1981. 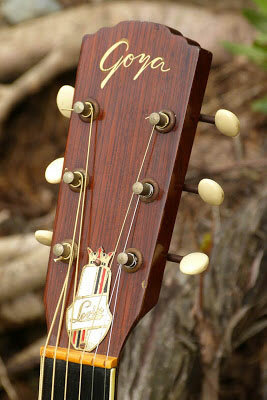 It was during this time that LD-18 batch bearing the Martin headstock badge were produced. In a way, the 200-some LD-18s produced in 1978 represent a sort of swan song for the luthiers of the Gothenburg plant, some of whom studied their craft under the tutelage of Martin employees in Nazareth, PA.
Only the most observant might detect from the front that those are Levin’s Schaller tuners. A view from the back gives it away. Here you can see the LD-18 designation. This is yet another chapter in guitar history that supports the idea that there are far more meaningful questions to ask than, “Who made it?” Beyond the year of production, understanding the context in which a guitar came into being – financial convenience, market exploration, passion project - and how that led to the materials, location and luthiers (or machines) used to build it is often far more important.